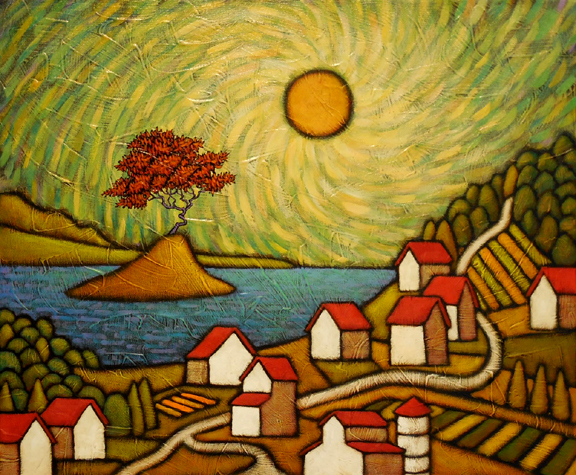 This is a new painting that is part of my upcoming exhibit, Islander, at the West End Gallery which opens on July 26th. It is a 20″ by 24″ canvas titled Endymion, somewhat based on the mythic character of that name. There are many conflicting myths as far as Endymion is concerned but the basic myth is that he was a mortal, some having either a king or a shepherd, who was in love with the Moon, who because of his beauty returned his love. Some myths have Endymion in an endless state of sleep as either punishment or reward from Zeus, some with his eyes wide open as he slept but all maintain the love between him and the Moon. The Romantic poet John Keats wrote a poem titled Endymion that tells his version of the myth. It begins with the well known line: A thing of beauty is a joy for ever. My favorite line, and one that I think speaks to this painting, comes later in that first stanza: Some shape of beauty moves away the pall from our dark spirits. 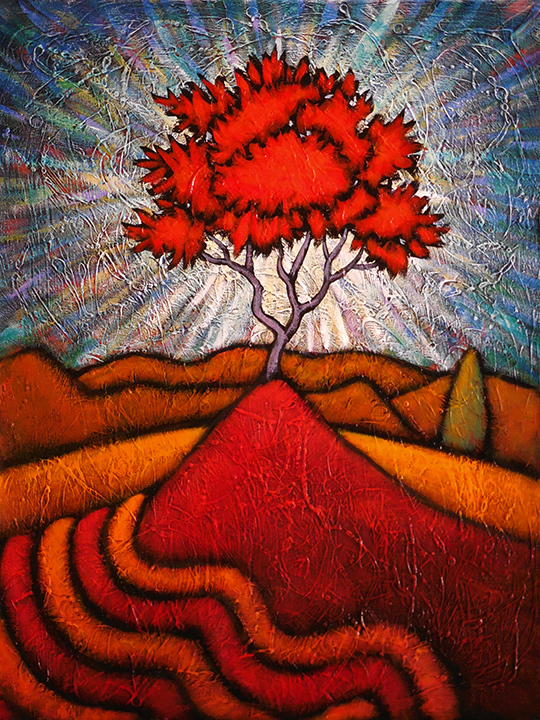 Whatever the myth behind the poem or the title of this painting, there is a sleepy hypnotic quality to this piece and there is a real sense of attraction and longing between the Red Tree and the Moon here. I see the Moon as the unattainable ethereal and the Red Roofed houses and farms as being the temporal reality with the Red Tree hovering somewhere in between, part of the Earth yet longing for the sky.